The 3DS reaches a sales milestone about 30 weeks behind its 2D counterpart. Almost two years after its release, news concerning the 3DS has slowed down considerably. A far cry from the furor surrounding its pre-release, launch, and subsequent price drop, most stories about the 3DS these days tend to be about new games for it. This is due, in part, to its steady sales: Since its launch in February 2011, the 3DS (including XL models) has now sold 10 million units in its native Japan. For comparison, the original DS reached this milestone in just over a year, and the Vita still has a long way to go. Holiday sales propelled the 3DS over the 10 million mark, with the largest boost coming from the release of Animal Crossing: New Leaf. The game released on November 8 in Japan, and its popularity drove 3DS sales during the last two months of 2012. While not strictly due to Animal Crossing, the last full week of December saw the sale of more than 400,000 systems. For comparison purposes, Nintendo has sold 6.46 million 3DS units in the United States so far. 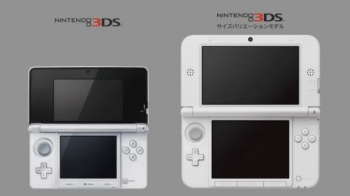 The 3DS took 98 weeks to reach 10 million sales in Japan, whereas its predecessor took only 61 weeks. Any number of factors could be at play here, from the weakening global economy to the 3DS's initial high price point. Nintendo's recently released Wii U is also not selling quite as fast as the original Wii. The long-term ramifications for the Japanese entertainment giant are not clear at this point, but Nintendo has a few hurdles in its way before it sees the kind of monetary success it enjoyed last generation again.